Ortaca, a small town sandwiched between popular tourist hubs of southwestern Turkey, seeks to attract more visitors with a fascinating offer to "professional tourists." One person which will be picked by the municipality for what it describes "Best Job in Turkey" will spend a month in town's tourist attractions from world-renowned Dalyan to the ruins of Kaunos ancient city and will be paid TL 30,000 (more than $6,900). Applications to the job are open between May 15 and July 14 on www.bestjobinturkey.com and one lucky man or woman will be employed throughout August for a vacation where all expenses and the monthly salary will be paid by Ortaca municipality and local non-profits. Applicants are required to speak at least one foreign language, to be skilled in blogging and efficient use of social media as well as in using camera as they will be mandated to share their monthly experience online. Ortaca Mayor Hasan Karaçelik says he or she will be "the luckiest employee" with access to best vacation spots the town offers, from pristine beaches to historic ruins. 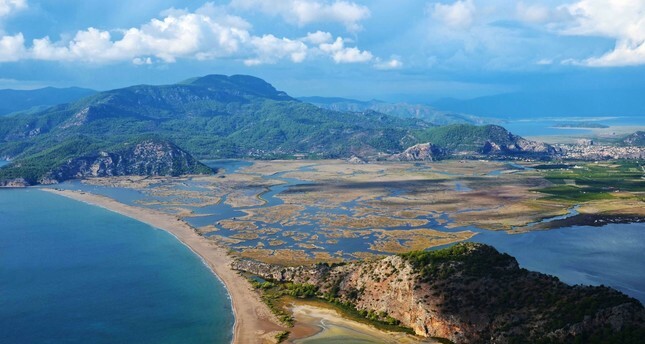 The town is particularly popular among European tourists for Dalyan and İztuzu, two well-preserved beaches that is home to mud baths and breeding grounds for loggerhead sea turtles also known as caretta carettas.